On Sunday afternoon last the junior house boys did an on-campus activity. 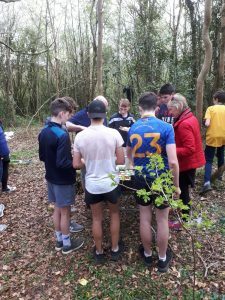 The activity was an adventure and task driven taking place in one of the woods on the Monastery grounds with permission from the monks. 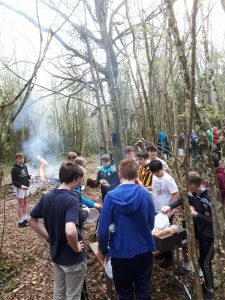 The boys were split into three teams, each team being tasked with building a survival hut using dead material from the wood. In tandem with this the boys built a small safe bonfire from dead wood, which added to the sense of adventure. The whole experience was intriguing to observe with each team designing and engineering their huts. The woods became a hive of activity resembling an “Ant Colony” with boy’s busy searching, gathering, building and reflecting on their design decisions. One of the most striking aspects of this activity was that for 2½ hours the boys became lost in a temporary fantasy world with no one showing the slightest interest in their mobile phones during the activity. Highlighting the value of “real activity adventures” for young people. 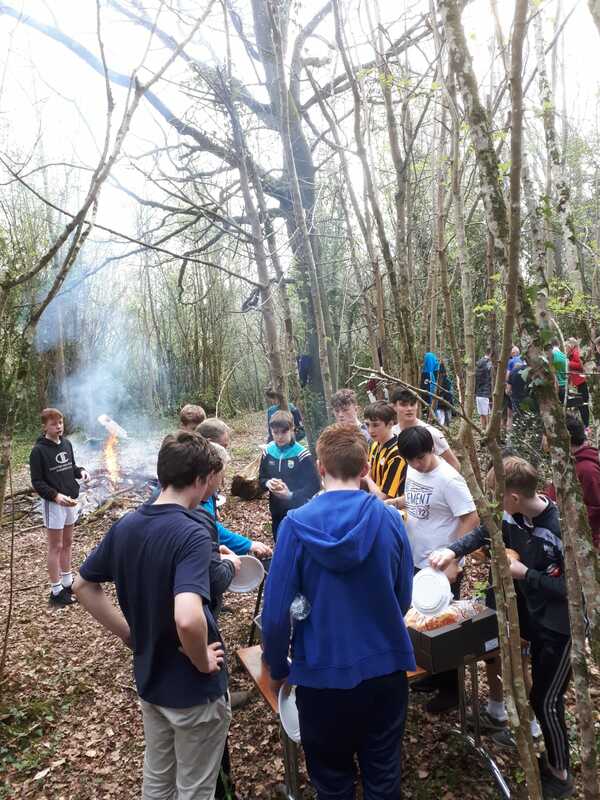 To finish off the afternoon the boys were treated to the culinary skills of Mr. Halpin’s Hot Dogs and Mr Smyth’s bbq burgers and sausages.